Q. Are sales people made or born? A. I field this question, in one form or other, in almost every seminar I do. 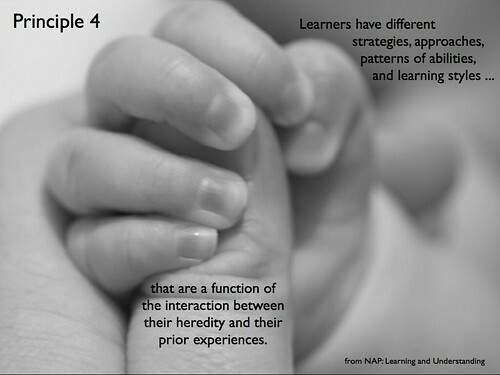 Just heard it again yesterday in relationship to the competency of building relationships. The questioner opined that building relationships was a natural talent. You either had it or you didn’t. Those sales people who have learned on their own, who have never been trained in the best practices of the best sales people, have a tendency to hold that sales people are born. After all, no one taught them. So the degree of success that they have attained must have been a result of natural talent. On the other hand, those sales people who were nurtured in a company that trained and developed them hold the opposite opinion. They saw that there are best ways of doing almost every thing a sales person does, and that most people in their training class were able to learn to do those things. So from their perspective, sales people are made, not born. So where do I fit on this issue? First, it helps if you have a basic set of personality characteristics and aptitudes to begin with. Some people are just not suited to the job of the sales person. That’s why we sell pre-hire aptitude assessments – to measure the aptitude of the individual for a sales position. But, just because someone has the aptitude does not make him/her a good sales person. And it is unreasonable to think that most sales people are going to learn the best practices on their own. They must be educated in the best practices of the profession. That’s where the “making” of a good sales person comes in. It is an unfortunate truth that the overwhelming majority of sales people have never been educated in the best way to do their jobs. And, those companies who invest in the regular and methodical development of their sales forces generally out-sell those who don’t. The position that sales people are “born” becomes then, for many companies and sales people, an excuse for not investing in their development. If sales people are “born”, then no amount of education will change their behavior. So, why invest in developing sales people? 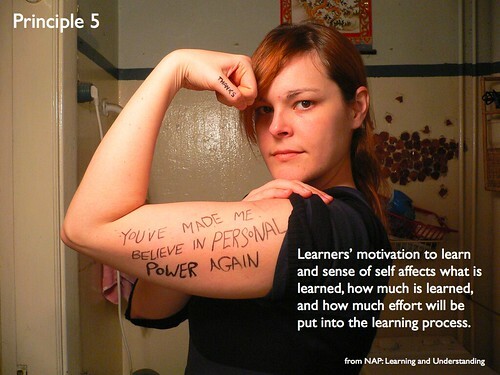 And, from the sales person’s perspective, why invest in developing yourself? You can’t learn anything, because, after all, you either have it or you don’t. The concept that “sales people are born” then becomes a rationale for abdicating responsibility. That position absolves the company of the responsibility to invest in developing sales people, and it absolves the individual sales person of the responsibility to learn and grow and develop. It helps if you have a natural talent for it, but everyone, given a basic set of aptitudes and personality traits, can learn to sell. Sales people are made and developed, not born. 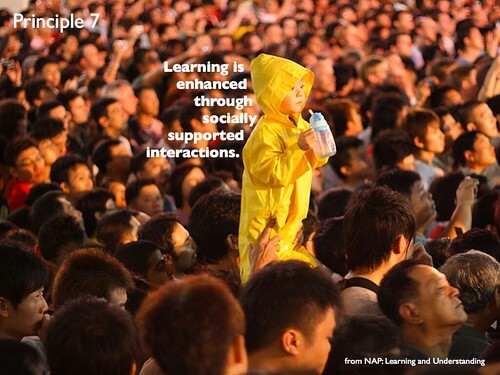 Images from the “Seven Principles of Learning” series by Darren Kuropatwa on Flickr under Creative Common license.